Whether you’ve been together for a few months or a few decades, there’s nothing quite like hitting the town for a date night with your significant other. Once you find your new favorite downtown Pittsburgh date night destination, be sure to grab a digital gift card for your honey. 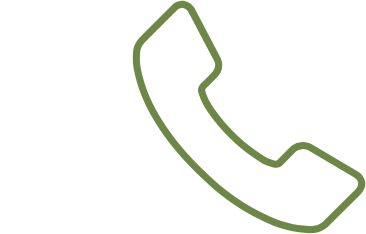 GiftYa cards link with your debit card, which eliminates the need to carry a physical gift card in order to enjoy the gift. Going card-free makes it easier than ever to plan a spontaneous evening out, so get out there and see where the night takes you! Heinz Hall for the Performing Arts is one of the oldest and most beautiful concert venues in Pittsburgh, making it the perfect place for a romantic date night in downtown Pittsburgh. Image courtesy of Heinz Hall Facebook page. 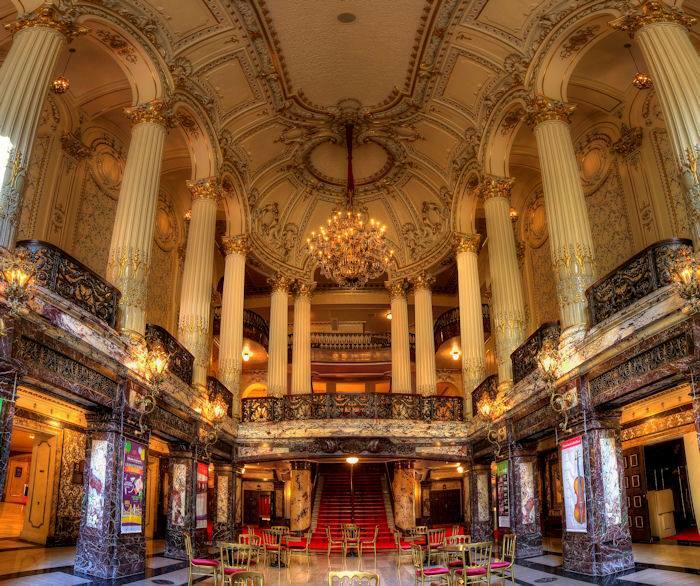 Since 1929, the gorgeous concert venue Heinz Hall for the Performing Arts has been bringing breathtaking cultural events to downtown Pittsburgh. Heinz Hall is home to the non-profit Pittsburgh Symphony Orchestra and Pittsburgh Youth Symphony Orchestra. If classical music isn’t really your jam, you can also catch a wide variety of other events at Heinz Hall-- from comedians to lecturers to more modern musical acts. Regardless of what show you decide to see, the gorgeous backdrop of Heinz Hall is sure to make your date night feel truly special. Even from the outside, it’s obvious that The Byham Theater is a historical gem in downtown Pittsburgh. Image courtesy of The Byham Theater Facebook page. ‍The Byham Theater is another gorgeous and historic building located in the heart of downtown Pittsburgh. When it was built in 1903, the Byham theater was known as The Gayety Theater, but it was renovated and renamed in 1990. While the name of the theater has changed, its breathtaking architecture and dedication to providing an intimate cultural experience has not. 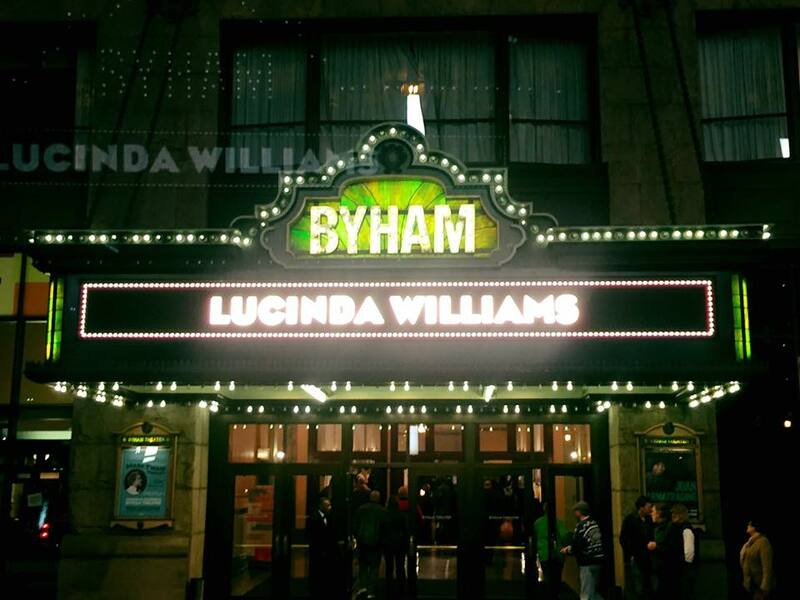 The Byham Theater is your best choice for a classic date night at the theater-- whether you prefer plays or musicals-- in downtown Pittsburgh. 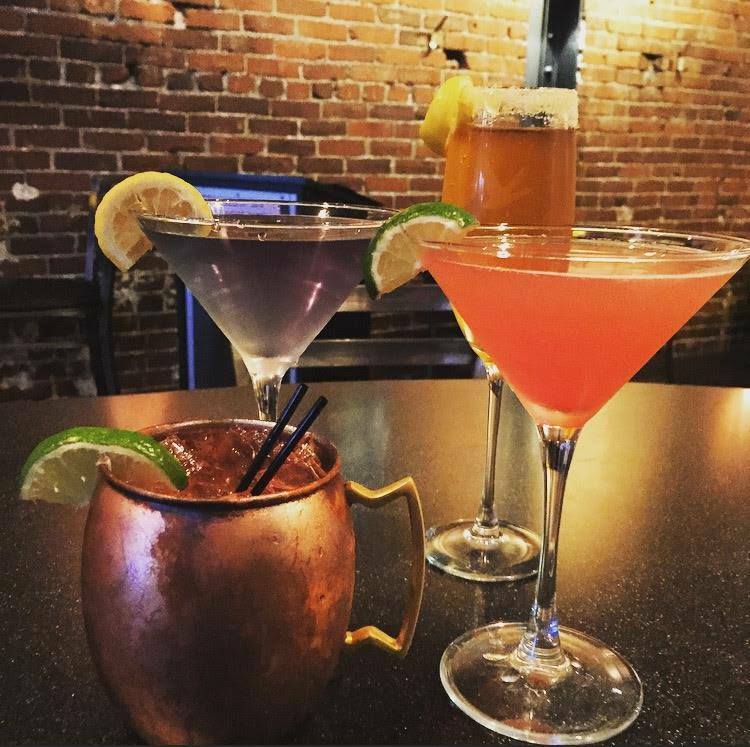 Olive or Twist offers a wide variety of tasty cocktails, like these mules and martinis. If drinks are going to be a part of your downtown Pittsburgh date night, Olive or Twist is a must-visit. Image courtesy of Olive or Twist Facebook page. If the literary play on words isn’t enough to grab your attention, the food at Olive or Twist should be! This trendy spot is right in the middle of downtown Pittsburgh, making it a great place to grab food and drinks before a show or an amazing date night destination on its own. Be sure to sample their creative cocktails-- the Ruby Red Bellini and Chocolate Covered Pretzel Martini are local favorites. If you live or work near downtown Pittsburgh, you’ve definitely seen this fun cocktail bar and restaurant. Consider this your invitation to finally stop in! Image courtesy of Butcher and the Rye Facebook page. Another nod to a great work of literature, Butcher and the Rye is one of a kind restaurant serving up new American cuisine and delicious cocktails. 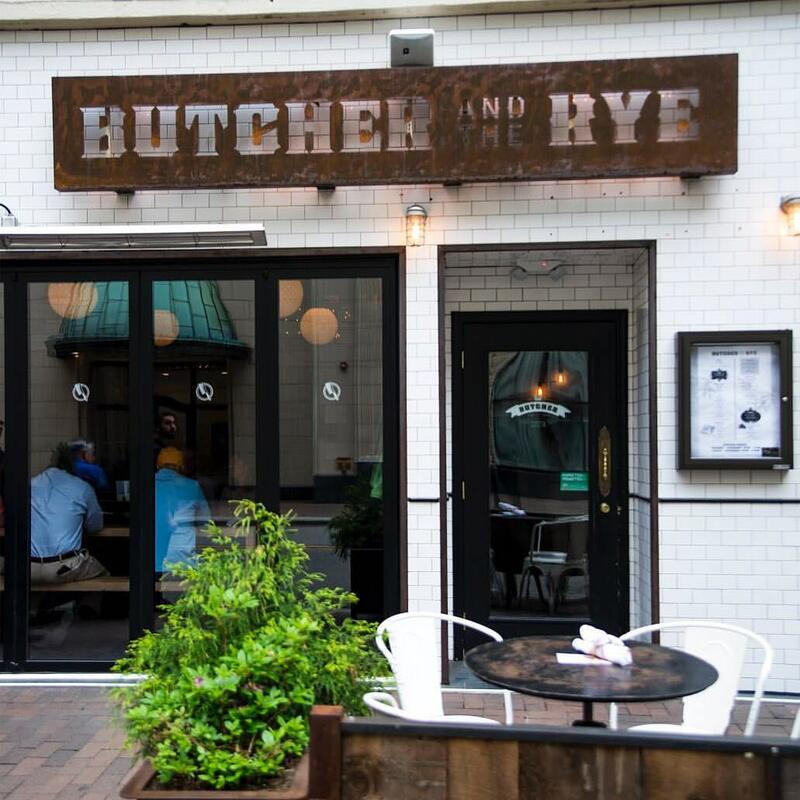 Butcher and the Rye’s location makes it an ideal stop before a Penguins, Pirates, or Steelers game, or you can simply pop in to try out their amazing drink and appetizer options after a long day at the office. Pittsburgh locals love Butcher and the Rye’s romantic, rustic feel and creative cocktails. Be sure to try the Salinger’s Sling, created in honor of the author whose chef d’oeuvre inspired the restaurant’s name. Verve 360 isn’t your typical health spa. 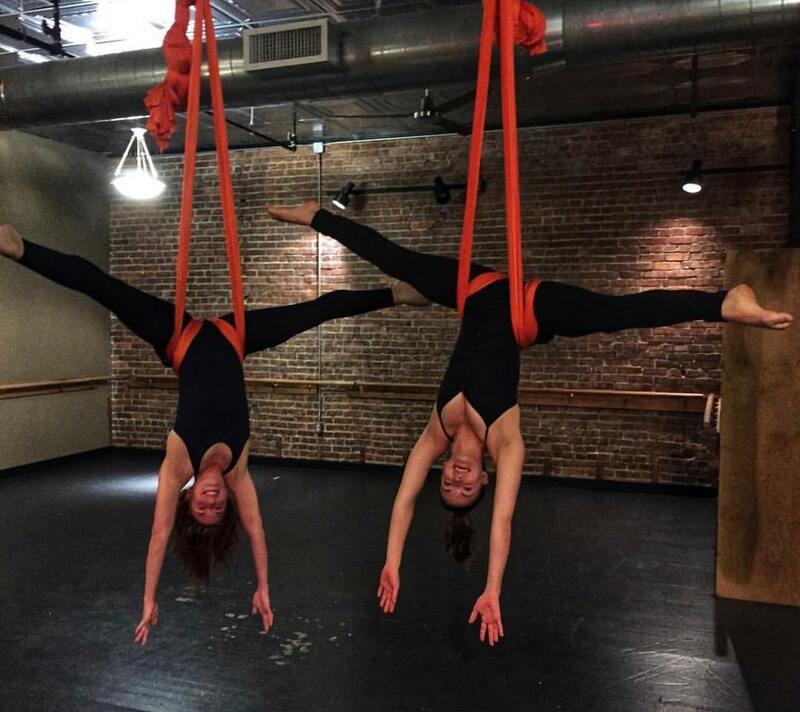 Check out one of Verve 360’s amazing aerial yoga classes. It’s sure to be a date unlike any other. Image courtesy of Verve 360 Facebook page. If you like your date nights to be a little less traditional, Verve 360 is the perfect place to start. 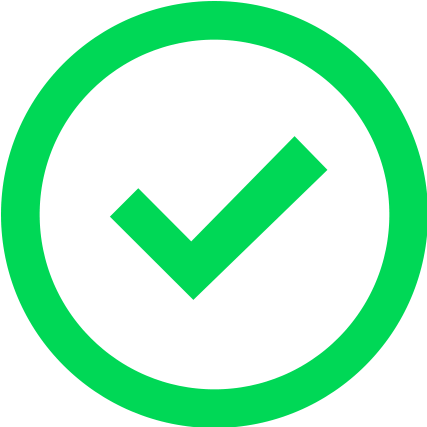 Officially a health spa, this place offers everything from relaxing massages to unique fitness classes. Take some time to unwind with your loved one, or if you’re feeling adventurous, try something new and sign up for an aerial yoga class. Either way, you’ll leave Verve 360 feeling relaxed, refreshed, and much closer to that special someone in your life. Täkō is an amazing option for colorful, flavorful food in downtown Pittsburgh. 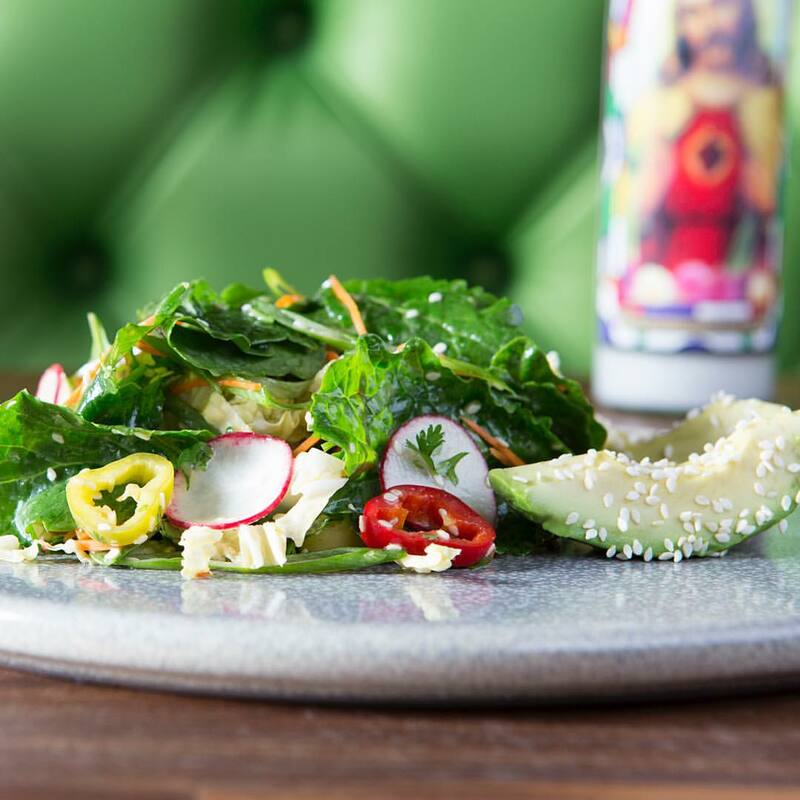 Whether you like your tacos spicy or with a little Asian flair, Täkō is sure to deliver. Image courtesy of Täkō Facebook page. If Taco Tuesday is your favorite night of the week, then do we have the perfect restaurant for you! Täkō is a unique destination in downtown Pittsburgh, and it’s perfect for a date night you and your significant other will remember forever. With creative flavor combinations both in their menu and in their cocktails, Täkō has delicious dinner and late night options to fit every palette. Howl at the Moon is a great place for the couple who wants to stay out late on their date night in downtown Pittsburgh. Image courtesy of Howl at the Moon Facebook page. While Pittsburgh has plenty of historic theaters and unique cocktail bars, there are also plenty of places to party in downtown Pittsburgh. For a date night full of drinks, dancing, and fun, be sure to check out Howl at the Moon. 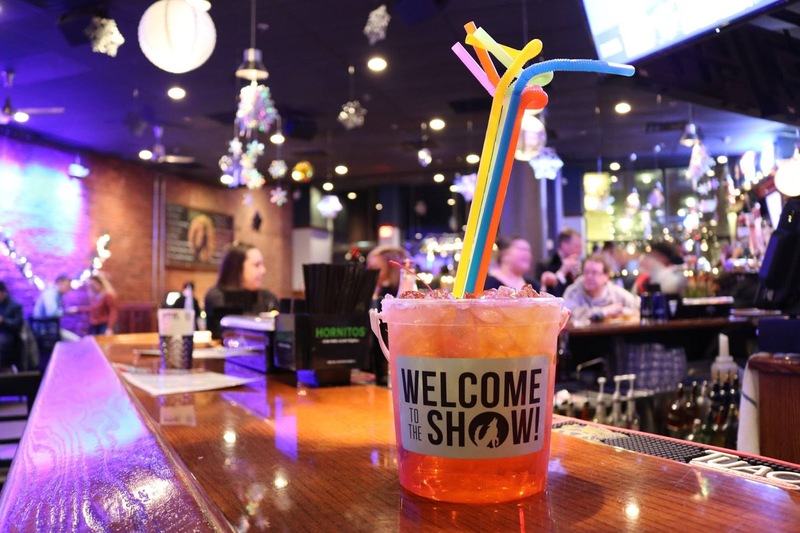 Howl at the Moon is only open for the weekend (Thursday-Saturday), and it’s a great place to go let loose with your favorite person at the end of a long week. Like many Pittsburgh couples, you and your date may find yourself in downtown Pittsburgh to attend a sporting event. Even if you weren’t able to snag those Pens or Steelers tickets in time for the game, you can rest assured that when you get to Redbeard’s on Sixth, you’ll be able to catch all of the action. 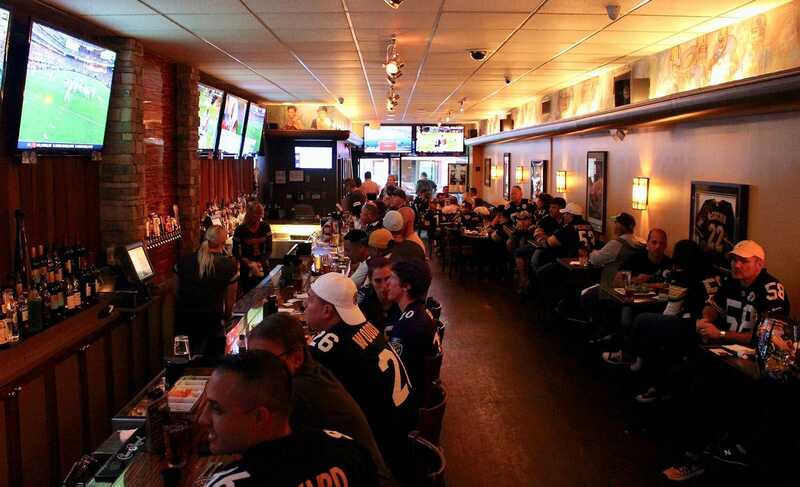 Redbeard’s is considered a sports bar, but it’s much more than just drinks and tvs. Be sure to check out their pretzel stick appetizer and their fish sandwiches. Use your date night as an opportunity to explore downtown Pittsburgh’s contemporary art scene. Image courtesy of SPACE Facebook page. 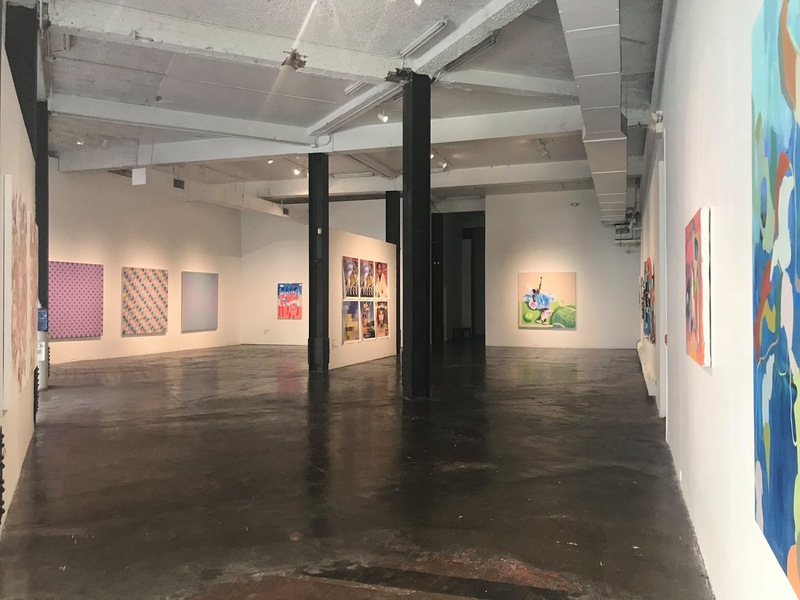 Pittsburgh is home to several incredible museums-- including The Mattress Factory and The Andy Warhol Museum in Pittsburgh’s North Side and the Carnegie Museums of Art and Natural History in Oakland-- but it also has plenty of smaller scale galleries to explore. SPACE Gallery is a date night must for Pittsburgh art lovers. SPACE presents 5 or 6 exhibitions every year, and each one features unique, multidisciplinary pieces that take advantage of contemporary technologies to create an experience unlike any other. The August Wilson Center offers a breathtaking glimpse into African American art, culture, and history in downtown Pittsburgh. Image courtesy of August Wilson Center Facebook page. 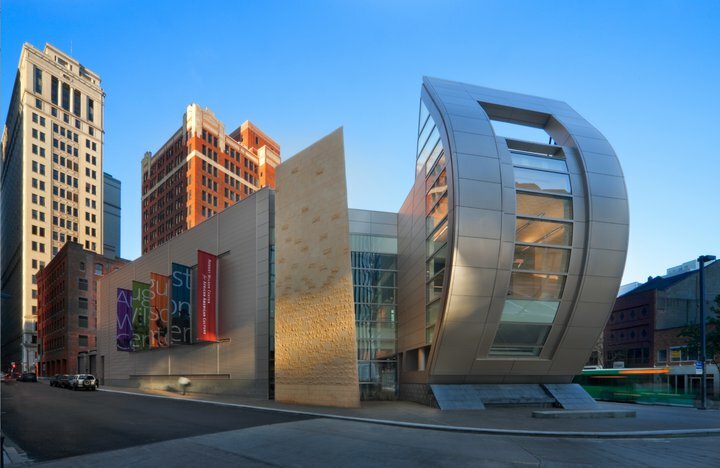 Named after famous playwright and Pittsburgh native August Wilson, the August Wilson Center for African American History is a must-visit for anyone looking for the perfect date night activity in downtown Pittsburgh. The August Wilson Center is beautiful piece of architecture, and you can catch live performances-- often including Wilson’s plays-- as well explore their art galleries. Eddie Merlot’s is known as one of downtown Pittsburgh’s finest date night destinations. With options like wagyu beef and a wide variety of seafood, Eddie Merlot’s is sure to make date night feel like a very special occasion. Image courtesy of Eddie Merlot’s Facebook page. Pittsburgh may be known for its casual fare-- like Primanti’s enormous sandwiches and Kennywood’s iconic Potato Patch fries-- but if you’re looking for something more formal, there are plenty of more refined options in downtown Pittsburgh as well. Eddie Merlot’s is a world class steakhouse located right in the heart of the ‘Burgh. 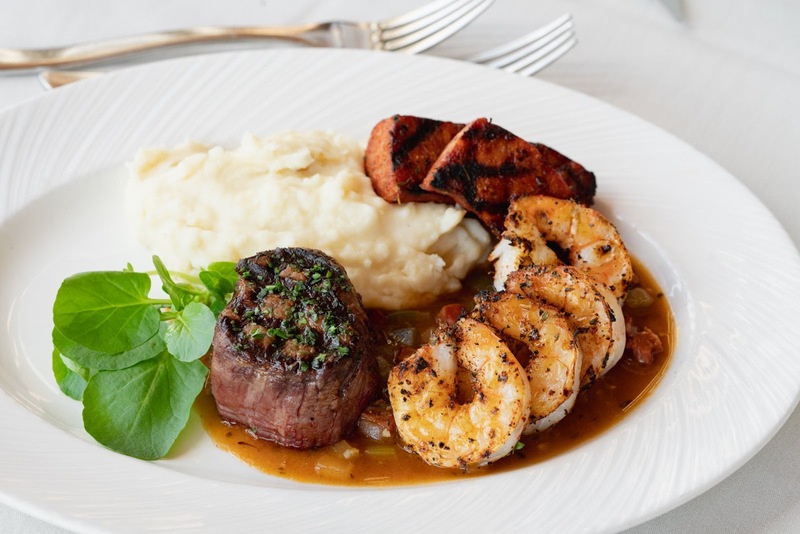 Their mission is to provide guests with the finest service and highest quality foods, so if you’re looking for a date night destination that truly takes care of every little detail for you, Eddie Merlot’s is the place to go. Date night in downtown Pittsburgh will be an evening to remember when you check out one of the amazing venues on this list. Downtown Pittsburgh has something for everyone, making it the perfect place for your next date night. Whether your evening out includes a relaxing drink, pushing yourself with aerial yoga, or a fine steak dinner, GiftYa digital gift cards are a great way to go. What’s the best date you’ve been on in downtown Pittsburgh? Share your stories in the comments below-- we’d love to hear from you!